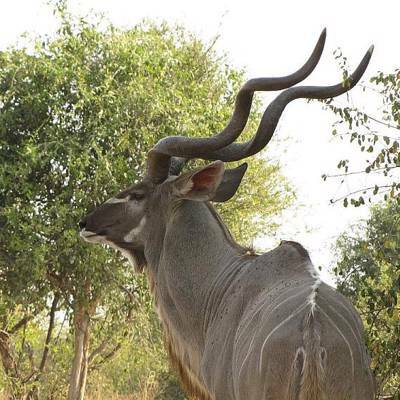 From the majestic Kudu to the delicate little Duiker, the choice of trophies is all yours. Hunting begins either on foot or by hunting vehicle. However, if fresh tracks or animals are spotted, stalking will continue on foot. 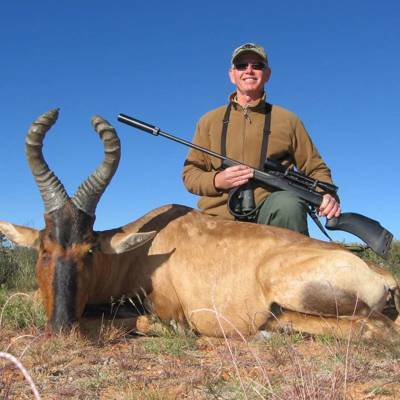 Rifles, shot guns and hunting bows may be used. 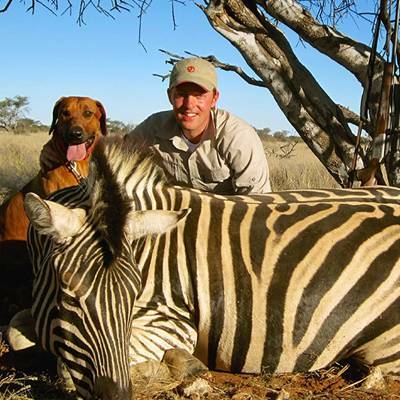 After slaughtering, trophies are professionally cleaned, treated and packed. Build your own package: choose the number of days you would like to spend and the trophies you wish to harvest. 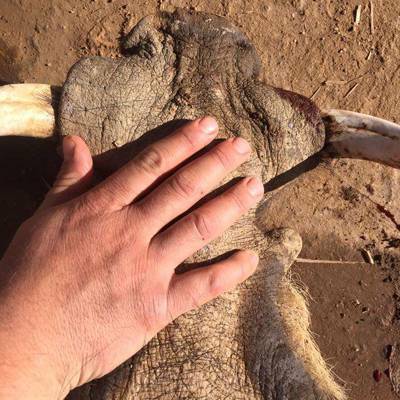 The hunt is conducted on 1x1 basis. Group leader hunts for FREE! 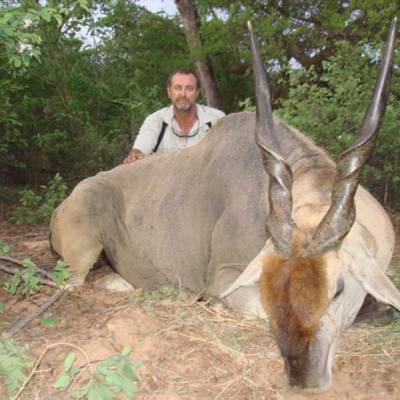 - Book a hunt for a group of 4 hunters, excluding of yourself, and you, the group leader will hunt for free. 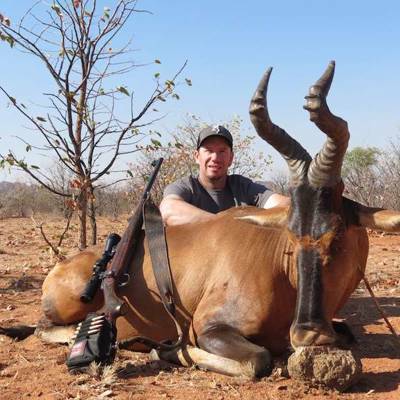 A maximum of two trophies per species may be harvested, per hunting client, per permit. 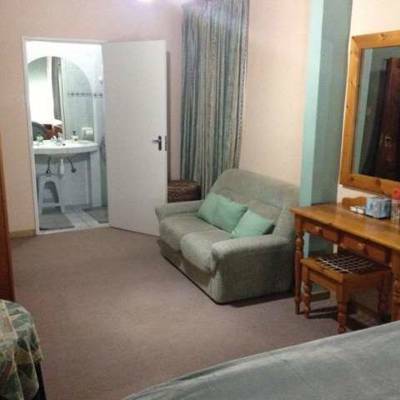 Daily rates are charged per night spent in camp. The SILENCE is deafening. 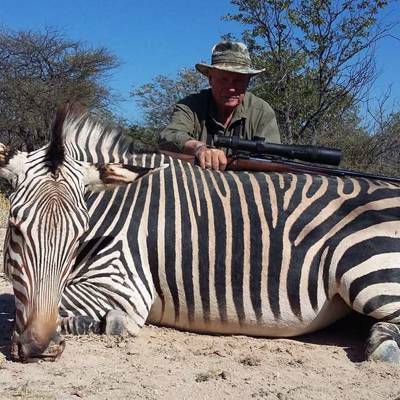 As you scan the vast plains in front of you, with the huge mountains forming the periphery, watching a few zebra and oryx dotting the plains below, you know that you have at last found one of the LAST and TRUE WILDERNESS hunting concessions in Africa to hunt. 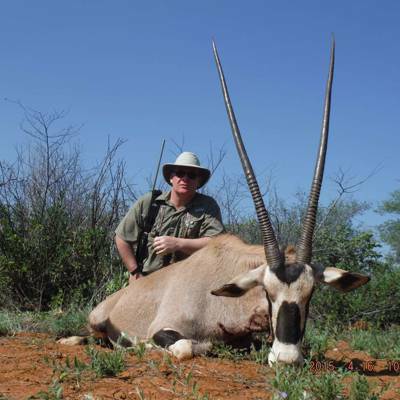 EXCEPTIONAL SPRINGBOK (16"+) and ORYX (40"+) can be expected. 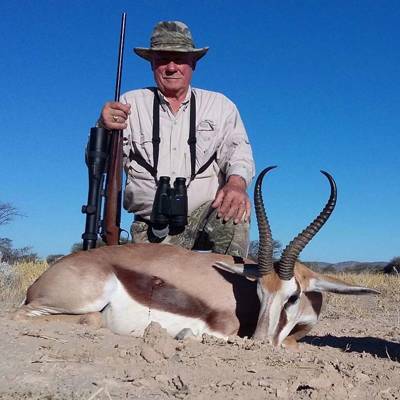 This hunt will appeal to a selective few hunters that seeks an ADVENTUROUS and TRUE WILDERNESS hunt without fences as well as the boutique hunter that searches for exceptionally big springbok and oryx. 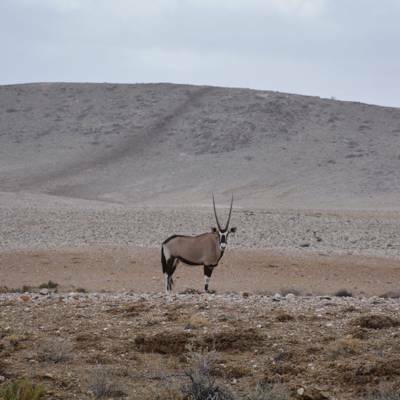 This is also the ONLY CONCESSION in Namibia where the HARTMANN MOUNTAIN ZEBRA can be hunted in the HARTMANN VALLEY. 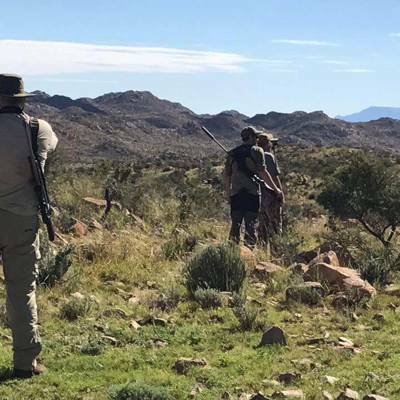 Hunters have the opportunity to hunt more than 12 species of desert adapted game in our vast, remote and unfenced 880 000 acres Kaokoland wilderness concession. 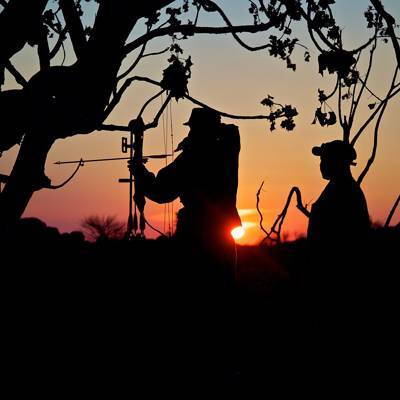 The hunt demands a reasonable amount of fitness, as all hunting is done on foot, covering quite huge distances on a daily basis. 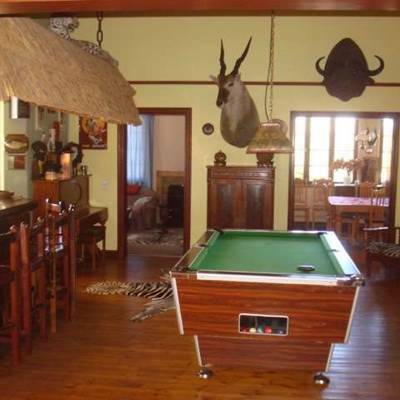 Saying this we always adapt our hunting style to fit/suite our hunters. 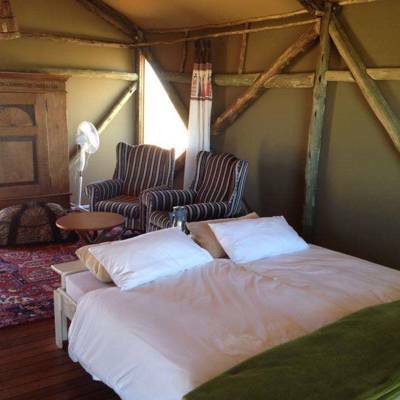 Hunters can also expect to SLEEP OUT under most brilliant skies WITHOUT A TENT in search of their quarry. 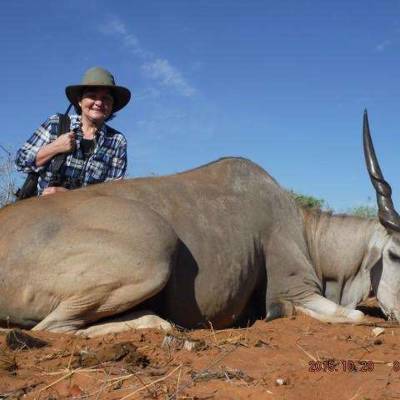 Each hunting party have the entire concession to themselves as we never mix clients. 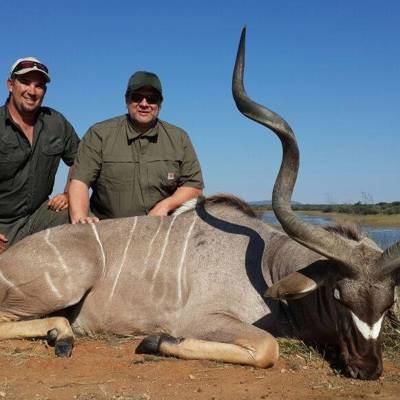 We also operates with a small staff compliment and do all our hunts personally. Observers are very welcome. 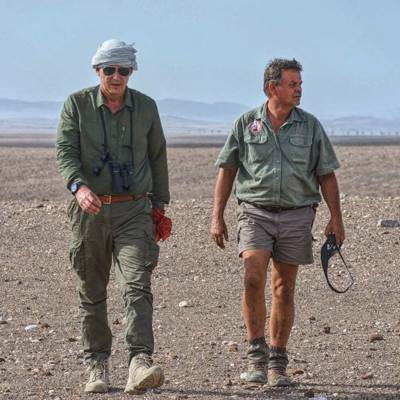 We offer hunters and outdoor enthusiasts the opportunity to experience the rich diversity of Namibia's wildlife and landscapes in different regions. 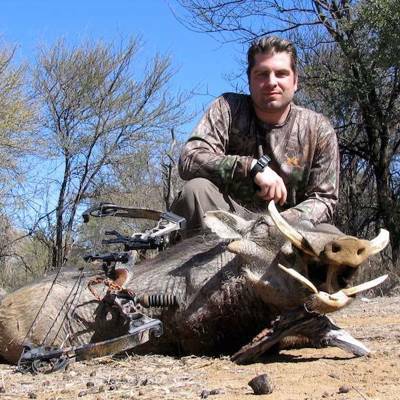 For the experienced hunter as well as for the beginner it will be a memorable experience. 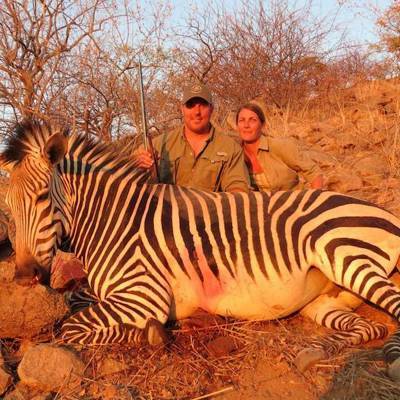 Your family and friends are highly welcome to join the hunting safari as non- hunting observers. 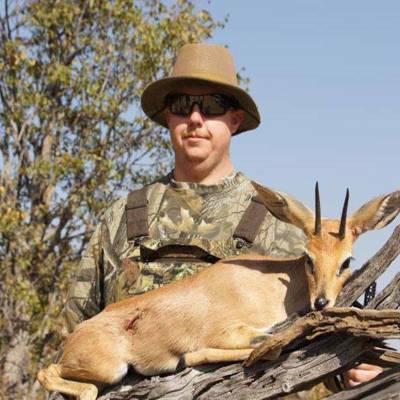 We offer mainly the traditional stalk hunt, but hunting from hides is possible as well. 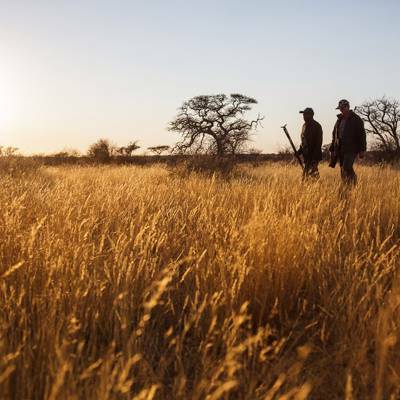 We treasure the principle of fair chase, so it is important for hunters to know that they should be fit, as walk-and-stalk is our way of hunting. 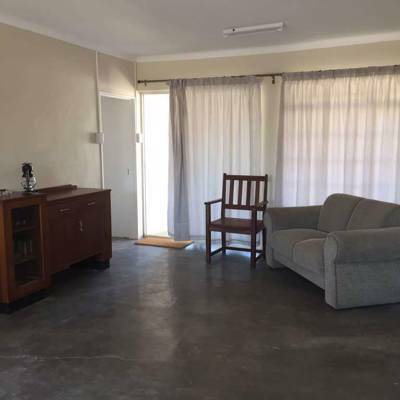 Carefully constructed hides and blinds at strategic locations provide an outstanding opportunity for bow hunters to experience animals at close range, although we love to bow hunt on foot, too. 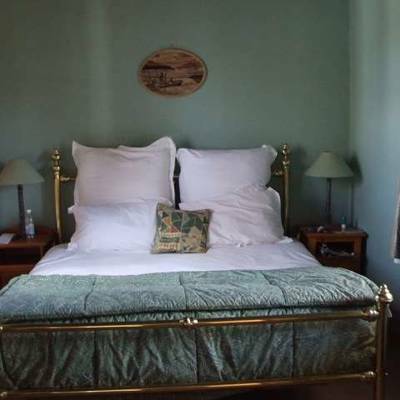 Arrival and departure days are $167. Wingshooting - $235 per day. 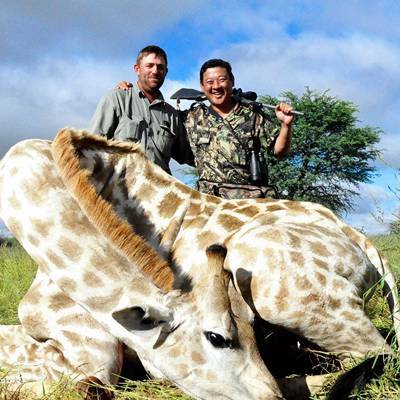 We are dedicated to fair chase hunting and the harvesting of post productive males as the ultimate trophy. 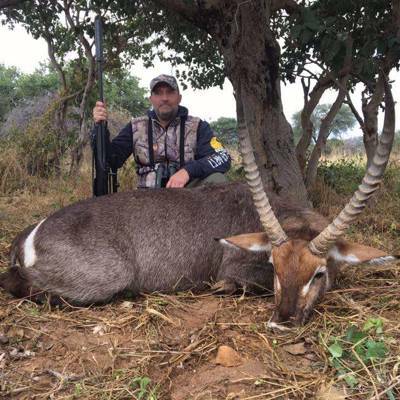 We hunt the game in their natural areas and therefore move between our hunting areas offering varying styles of hunting and habitat. 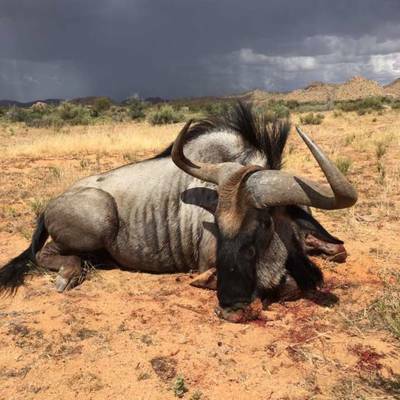 This management offer is for 7 hunting days for Oryx, Springbuck, Warthog, Red hartebeest, Mountain zebra. 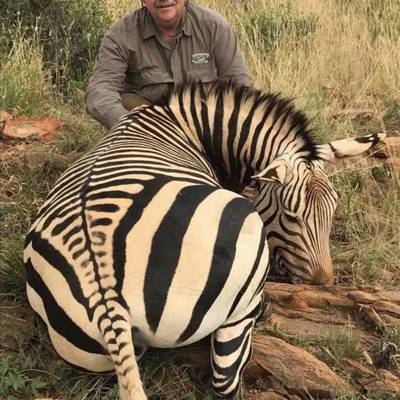 Trophy plains game species can be added as per price list. 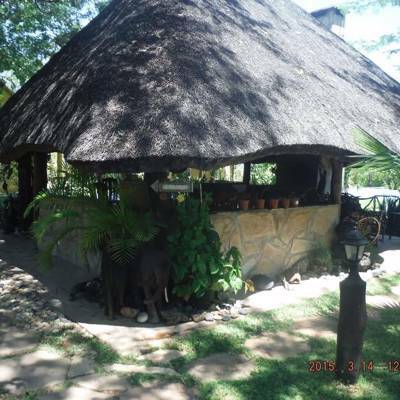 All accommodation and meals before and after safari dates are not included. 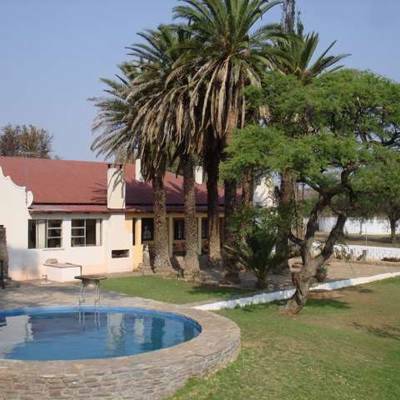 Our farm is located 1 hour to the western side of Outjo – also known as the main gateway to Etosha National Park. 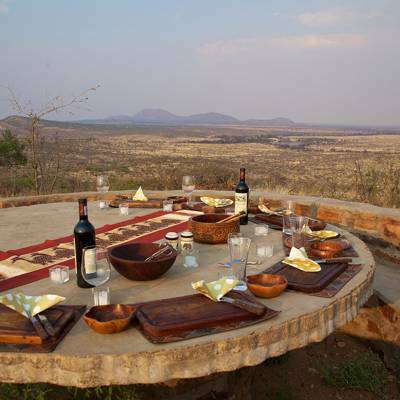 The 12 000 acres of land consists of the Mopane bushveld, the magnificent Ugab terraces and is cut in two by the Ugab river. 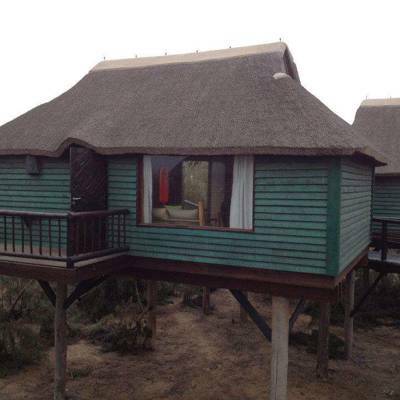 The two permanent natural springs and dry riverbeds are home to a large variety of animals and bird species. 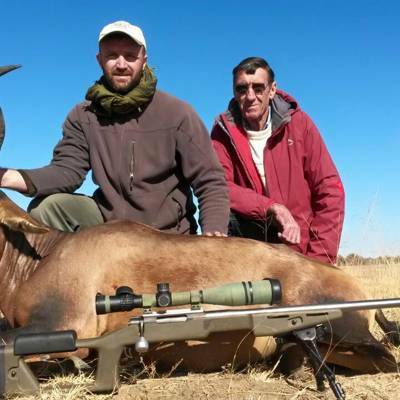 We cater to provide exclusive hunts. 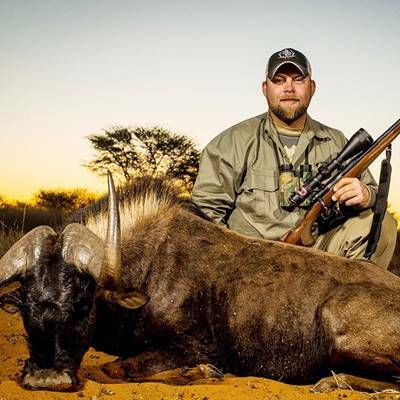 The company is a small enough family outfitter to give every client the best personal attention throughout the hunting trip. Only one group (maximum 4) of hunters is booked at a time. We are a family friendly outfitter company. 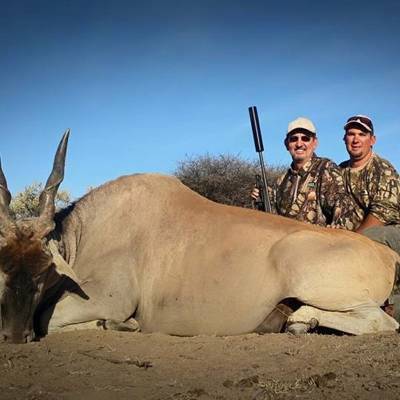 We strive that every hunter leave his/her hunting trip with good memories, a sense of fulfilment and as friends from different parts of the world. ​​ Please inquire for available dates. 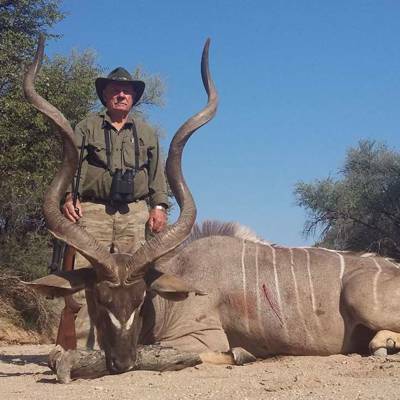 Our clients consistently leave with top quality trophies, in the 2003, 2004 and 2005 trophy hunting season several trophies in Namibia were taken with us according to Namibia Professional Hunter Association (NAPHA). 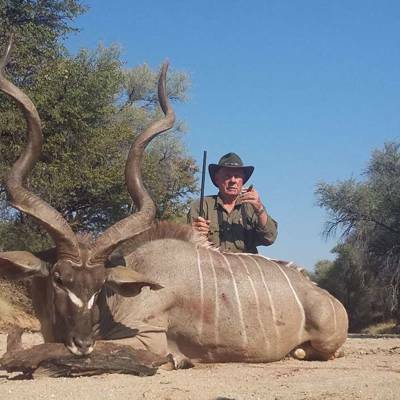 In the last few years, several of our hunting trophies reach NAPHA Gold Medal standards or higher, which is why so many of our clients have returned to hunt Namibia with us again and have sent their friends. 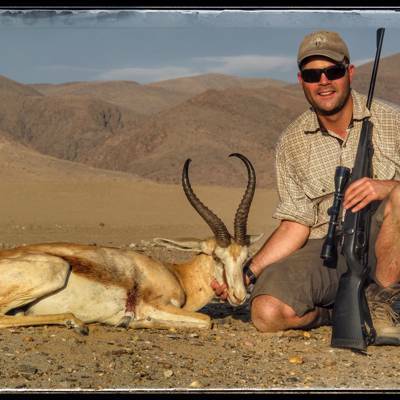 Every Namibia hunting safari is tailored to meet your specific desires with your unsurpassed satisfaction being our foremost priority. 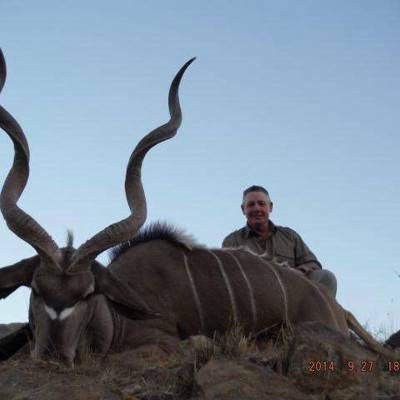 Each African hunt is adapted to provide choice and variety of safari hunting methods, including bow hunting safaris. 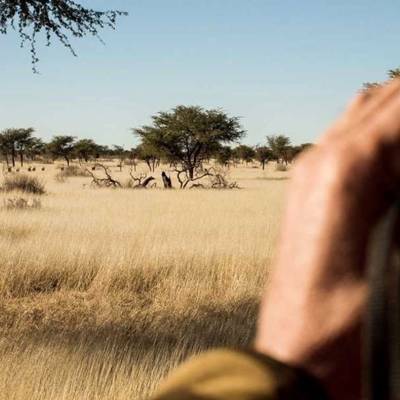 According to your quarry, preliminary sighting may be done by 4x4 vehicle with closer approach on foot, stalking and tracking, waiting from several strategically located permanent blinds or from a makeshift hide as the plains game hunting necessitates. 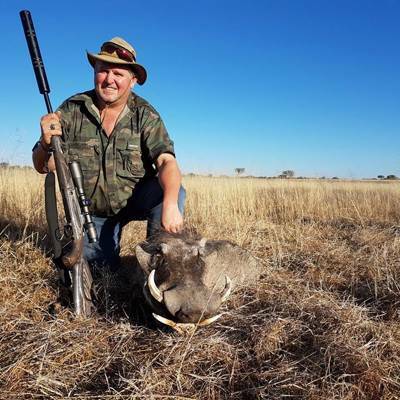 As an compliment to your game hunting safari, there may be an opportunity, depending upon the season, for some action packed wingshooting adventure..
You can choose the number of days and desired trophies. 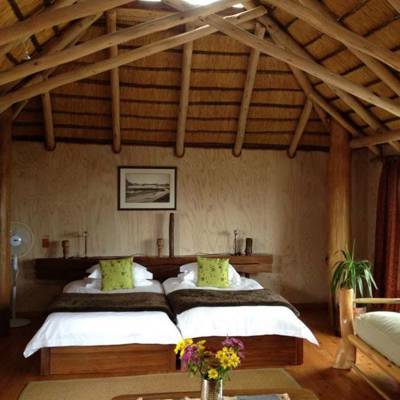 We’d love to hear from you and will assist you in planning your much deserved trip! 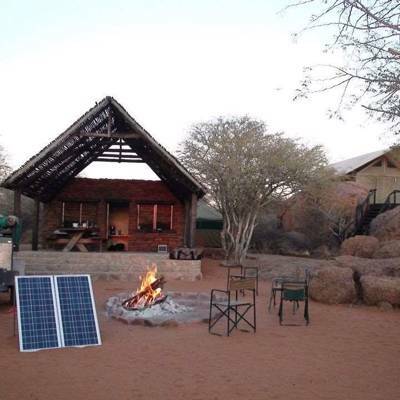 This is a classic plains game on 1x1 basis in Namibia. Choose you trophies and tour length and book now! 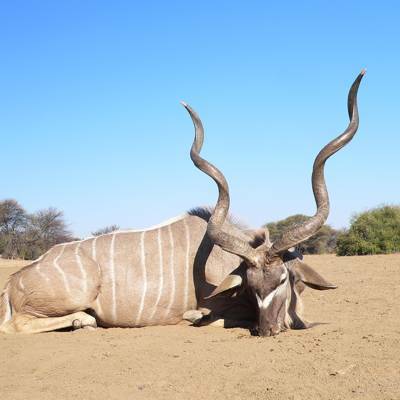 This 8 day package includes one of each 5 species: Gemsbuck (Oryx), Hartman's zebra, Red hartebeest, Warthog, Duiker or Steenbuck. Non hunting companion can be added to the package by request. Additional animals can be added to the package as per price list. 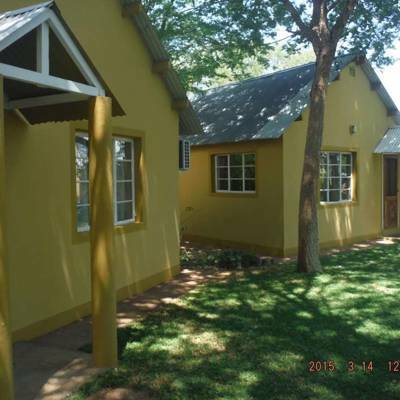 Daily Trips to Etosha available for U$ 260.00 per person + 15% VAT (if one person) and U$ 210.00 per person + 15 %VAT for two or more persons. This includes our vehicle, our driver, park fees, meals and drinks. 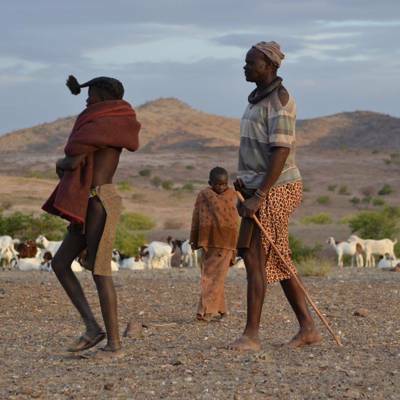 Also daily trips to the HIMBA VILLAGE and to the CHEETAH FARM available for U$ 87.00 per person +15% VAT per each trip. Please require for available dates.